You will win many hearts. And count your endless blessings. From the new day and fresh morning take a pledge that you will make atleast one person happy. You don’t have to work too hard for it. Good work does not need many efforts. Bringing smile on someones face is not that difficult. Help the kids on the streets by buying balloons from them. These tasks are not difficult and not even big. how secure and fearless the old man will be that someone let him enter and exit first from the lift. And you cannot imagine the smile on that kids face once you have taken all the balloons. She will get to eat that night. Not only these people but you also in the end of the day will be happy that you made someone else happy. If your friend is not in a mood, sing for her. If your brother had a fight with your Mom, Get him ice cream. If your mom is not feeling well, do all her work today. If your dad is stressed about the finances, give him your salary cheque only once. And see how the stress disappears. Give your seat to the pregnant woman in the bus, old citizens in the train. Play with the toddler in the plain if he is not comfortable. Let his cry turn into a smile. Say thank you to the taxi driver and waiters. Watch the smile on their face. Give clothes in proper condition to the people who cannot afford it. Make a small house for the dogs outside your house. Give morning breakfast to the maid at your house. 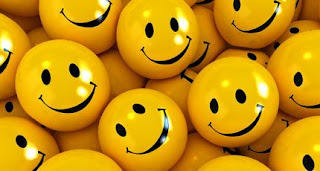 What all of us need today and lack many a times is to be happy. You have to be happy first and then can make some one else happy.